Published in: Writers Magazine Italia 0, (Dec. 2004). Milano: Delos Books.11-13. Published in: Writers Magazine Italia 17, MI: Delos Books. 12-22. 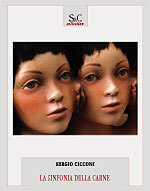 Published in: Writers Magazine Italia 11, MI: Delos Books. 34-38.